SULTAN’S Group of Companies was founded in 1990as a small bussing enterprise and has since grown to be a household name within the logistical Industry of Oman & GCC. The range of services we have provided to our customers over the years has developed, by listening to the customer, providing exactly what they want, when they want it. This approach has been the key to our continuing success. Our Head office and support service workshop are based in the heart of the Industrial area of Ghala, from where our support teams of management, supervision and operators are based. 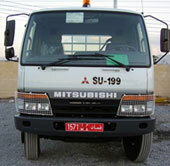 We have a staff of total 412 Omanis & expartiates , and a asset base of 441 vehicles & Plant.